Chevy Cavalier used a 3.1L engine in its second generation production run. This was a step up from the standard 2.4L 4-cylinder that got the Cavalier its start. The new V6 definitely improved the performance and was one of the factors that made this GM car popular in the 1990s. GM mainstays like the Beretta and Buick Regal also used the 3.1L engine. 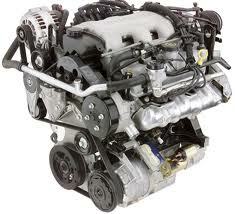 We have these Chevy Cavalier remanufactured engines inside of our engine inventory for sale. We give truly great prices for the work that is completed. None of our customers have ever been dissatisfied here at www.remanufacturedengines.co. You won’t either. One thing the V6 engine gave the Cavalier was a lot more horsepower. GM knows how to make a car design better and they definitely did so with the decision to upgrade the performance specs. We are experts at buying used Cavalier engines. We have spent the last several years making relationships with trusted sellers and distributors around the world. There is nothing we cannot get as long as it is still being made someplace. We also buy in huge engine shipments. We would not be able to offer huge pricing discounts if we only bought a single engine at a time. We buy bulk here and that’s what helps us give discounts. What do you get with a rebuilt engine? We have no idea what you get when you buy one from someplace else online. The only thing we know is what we give to you. The engines that we sell all begin as lightly used engines. These are pullouts from vehicles that were traded, leased or bought on the secondary car market. The mileage is generally low enough to meet our mileage standards. It’s hard to do anything with a high mileage engine. We don’t just change a few hoses and call an engine remanufactured. We go through an actual rebuilding procedure that takes several days. We put a lot into it so that you get a lot out of it. OEM is what we live by here. Genuine GM parts are easy to get when you have a reputation selling engines like we do. Our GM parts dealers are the very same that supply our used engines. Everything we buy is 100 percent certified General Motors. We refuse to install cheap parts just to save a few bucks on a sale. Our OEM rebuilds begin with removing older parts in exchange for a genuine replacement. The process sounds easy. You remove the old and put on the new and it’s finished. We wish it were that easy. We use dyno testing as our last measure to prove our 3.1L rebuilding skills. It is flawless every time. We continue to add new engines each day. To get our 3.1L V6 Cavalier engine pricing, all you have to do is use the form we have created to generate your quote. It takes well under a minute. Anyone can use it. We even take phone calls at 1-877-630-3873. Get quotes by phone or online. You choose. All you have to do is be prepared to be amazed with our V6 engine low pricing.